About | What's with today, today? I procrastinate a lot and find it hard to stay motivated. I love most children cartoons from the 80’s. I have Spastic Diplegia which is a form of Cerebral Palsy. I have a food phobia and have a limited, and very poor diet. I like to be knowledgeable but im not really into reading books. I love the sounds Transformers make when they transform. Eternal Sunshine of the Spotless Mind is one of my favourite films. 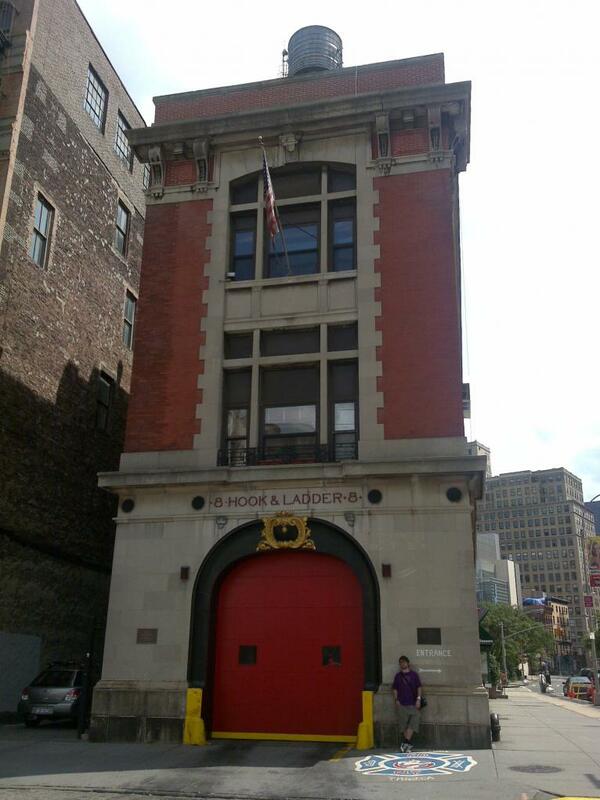 I’ve been to the Ghostbusters firehouse. I’ve sat in the DeLorean from Back to the Future. 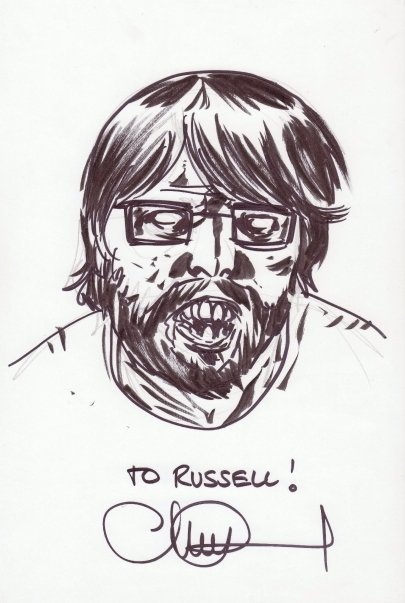 Charlie Adlard (artist behind ‘The Walking Dead‘) has drawn me as a zombie. I got married on August 25th 2012. I like Mtn Dew. I wish they sold it in the UK. Mountain Dew “Energy” isn’t the same. I own lots of Lightsabers. I was once an actor in a play where I was naked. I spend too much time on Twitter. I name my goldfish after something in the year I bought them so I know their age. I have over 2000 CDs. I’ve been to the house from TV show ‘SPACED‘. 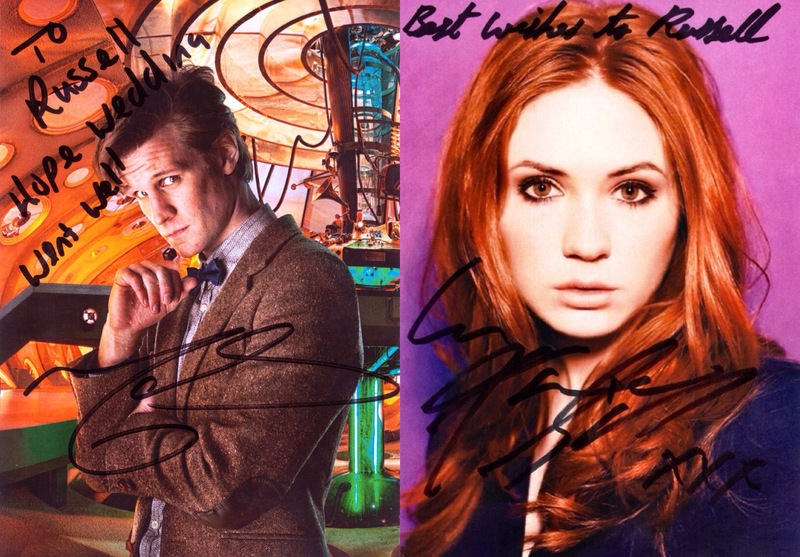 Matt Smith & Karen Gillan from Doctor Who sent me well wishes for my wedding. 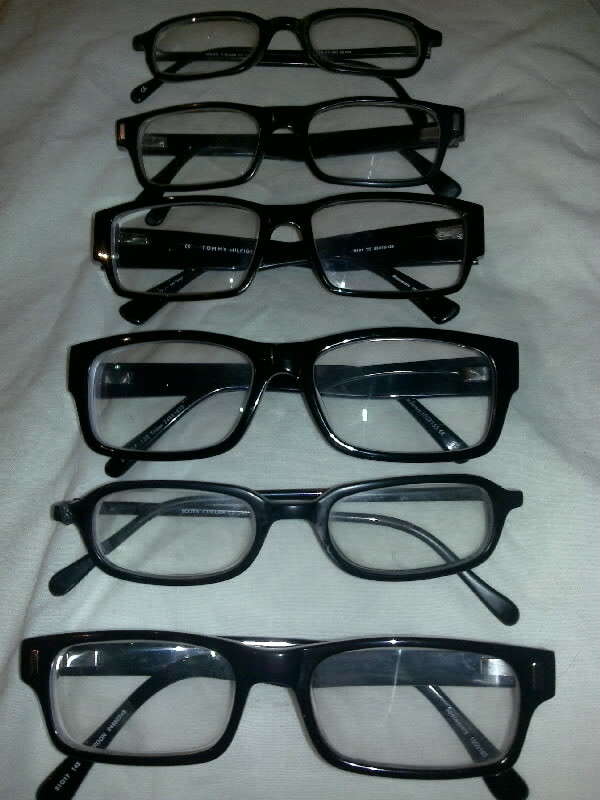 I am a ‘Indie Kid’ at heart. Hi! I’m editing a book about religion in film and I was wondering if you took the photo of Buddy Christ you posted on this blog. If so, would I be able to ask you for permission to publish it in the book? I’m Marc DiPaolo and I wrote the book War, Politics and Superheroes. I’m sending the book to the publisher soon, so I hope you get this, as I won’t include it if I don’t hear from you. I have no issue with you using my photo of Buddy Christ.